There had to be points in during the 2017-18 season where the Sault Ste. Marie Greyhounds legitimately wondered if they’d ever lose again. The memories of a nearly perfect season still remain fresh in the minds of many. 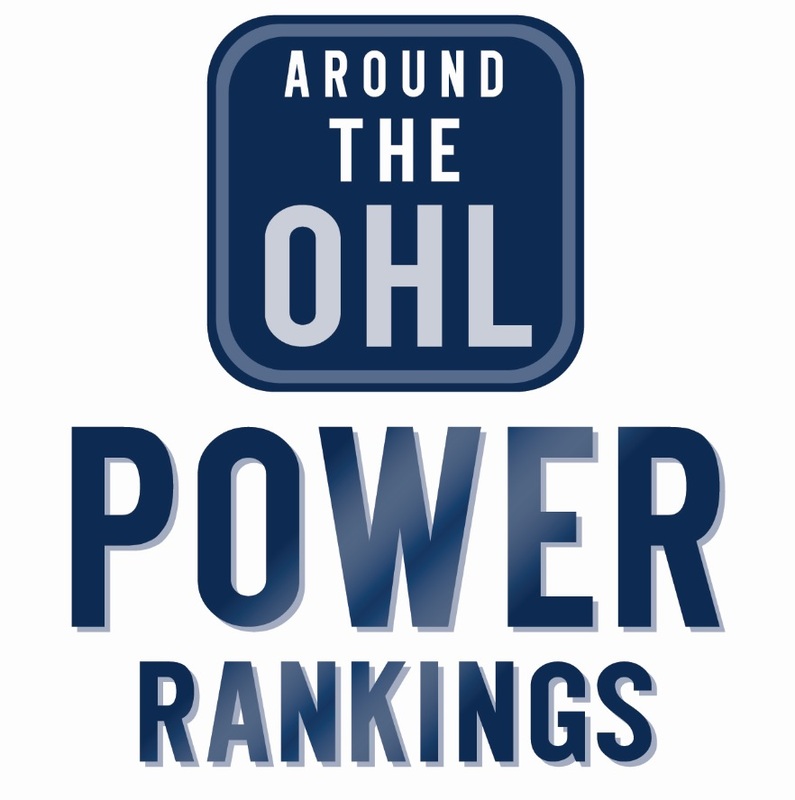 A total of 116 points, 55 wins, and a goal differential of +131 made for one of the most dominant seasons in OHL history. Nobody scored more, nobody allowed less goals, and nobody simply won as much as the Soo. Not the end result they wanted indeed. After pulling off the seemingly impossible in the regular season, and slipping through two playoff series, the Hamilton Bulldogs solidified their legacy as champions of the OHL in 2018. For the Soo to come so far and finish so close to what would’ve been a perfect ending certainly stung. But the organization still finds a lot to be proud of. After such a lengthy run into the postseason, time was short for the Soo to not only get over the disappointment of a loss in the OHL Final, but piece together what was left of a team without Boris Katchouk, Tim Gettinger, Jack Kopacka, Hayden Verbeek, Rasmus Sandin, Conor Timmins, Noah Carroll, and Taylor Raddysh. Even without those eight dynamic players, the Greyhounds believe they’ll find a way to fill the gap. To say Sault Ste. Marie won’t have trouble recovering is a bold statement. But early indications are that Carroll might be on to something. The Hounds replaced those eight veterans with eight new rookies (not including Roman Pucek who joins via the import draft). Up front, they retain an OHL MVP candidate in Morgan Frost, on defence they possess two NHL draft picks in Jordan Sambrook and Mac Hollowell, while LA Kings prospect Matt Villalta guards the net. Should Barrett Hayton return, the Greyhounds still have a decent collection of cornerstone players. But it’s the youngsters surrounding them that could give the Soo the kick they need. Few, if anybody, in the OHL do the draft better than the Sault Ste. Marie Greyhounds. Since the 2008 draft, Sault Ste. Marie lead the OHL with nine first round OHL picks that also turned into NHL draft picks. Of those nine, only four were selected in the top ten. “We’ve really put an onus on what we’re trying to covet in a Soo Greyhound player and not worry so much about what a perceived good player in the OHL is going to be, because different players work for different programs,” said Raftis of his scouting philosophy. Not only have the Greyhounds made consistently good picks in the first round, but the mid-rounds have also yielded great spoils. Frost, Timmins, Kopacka, Keeghan Howdeshell, Verbeek, and Michael Bunting are all recent Soo picks taken between rounds 10 and four. Not to mention, Hollowell was a 12th round pick. Every year, top-end talent graces the OHL Priority Selection, but Raftis simplifies it down to three determining factors in what he wants to see in a player. Drafting the right players is one thing. But developing them into their full potential is another challenge in itself. If the Greyhounds have success this season, their player development process will be at the top of its game. Players like Ryan Roth, Cole MacKay, Brett Jacklin, Zackary Trott, and Carroll all saw limited playing time last season, but all factor into the Soo’s long-term plans. “This year a lot of veteran players are gone, and a lot of young players need to step up and take their roles. For me, I think I need to take a much bigger role,” said Carroll. This is where Sault Ste. Marie’s overhaul on the bench comes into effect. With head coach Drew Bannister, long-time associate coach Joe Cirella, and Ryan Ward all moving to the AHL, Raftis not only had to manage his roster, but find an entirely new bench staff to lead the way. For as well as Bannister’s philosophy worked with the Greyhounds, Raftis said he was looking for a new coach that could inject his own personality into the team. That coach turned out to be John Dean. From a player’s perspective, Carroll can feel some minor differences in how the team is run, but the culture has remained the same so far. “The same concept is there. I think it’s a little different perspective on the game, but nothing major. I think John has done a great job with us thus far coming into our team. I think we’re on the right track. The culture here is winning, and that’s what we’re going to do,” said Carroll. As the evolution of the Greyhounds franchise moves on, Raftis feels that having changes, as minor or major as they may be, plays a big factor in keeping them on top. “Every year, I don’t think it matters if you lose staff or not, there’s gonna be tweaks and an evolution of how you’re playing. That’s natural. If you’re staying stagnant, I think you’re gonna get passed really quickly. We’ve always been a big believer in being progressive and being ahead of the curve,” said Raftis. Joining Dean on the bench are brand new assistants Jamie Tardif and Jordan Smith. Much like the decision to name Dean head coach, bringing on Tardif and Smith were calculated decisions. The idea of a fresh outlook and hefty roster turnover is what leads many to believe this is a ‘rebuild’ season for the Greyhounds. But even so, that doesn’t mean Sault Ste. Marie need to lose games. Even after a season that’s nearly impossible to replicate, Carroll says the team is still looking to raise the bar and drive expectations forward. A 55 win season is a lofty goal for any team, let alone one who just lost eight key veterans. But Raftis continues to let his players reach for the stars. “I don’t ever put a ceiling on a player if a player says this is what I want to accomplish. It’s up to us to support them and them to put in the work”, said Raftis who noted it’s especially important for a young player like Carroll to have something to work towards. As far as how Sault Ste. Marie actually live up to expectations as a team, Raftis believes the success of his young players boils down to a few questions. Last year, it was obvious that the answer to both questions was; very, very fast. Last year’s squad was a veteran group that gelled right out of the gate. This team is off to a slower start with younger, more inexperienced players. But Raftis believes that developing those players individually will eventually lead to team success. The Greyhounds have found a successful formula for drafting, developing, and ultimately winning with their players. But as impressive as last season was, the truest testament to how well they scout and develop talent could be how quickly they recover from a large turnover and limited picks in the draft. Sault Ste. Marie has been a path to NHL organizations for many players, coaches, and executives. At this rate, it may not be long before Raftis finds himself in the company of former Greyhound GM Kyle Dubas at the next level. But for now, he’s excited to see what becomes of his team this season. Tags: Joe Carroll, Kyle Raftis, OHL, OHL Draft, Sault Ste. Marie Greyhounds. Bookmark the permalink.